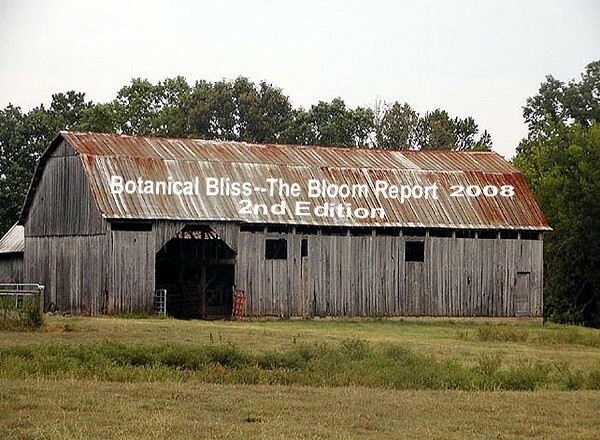 Welcome to the second edition of Botanical Bliss--The Bloom Report 2008. Spring wildflowers are finally getting started however slowly this year. The drought we suffered last year seems to be ended. The killing freeze of Spring 2007 has been avoided. The bloom season promises to be perfect and enjoyable. Praise the Lord for answered prayer! The barn pictured above is one of many in Blount County and is very close to my house. I hope you will make time to get out and enjoy some of these beautiful Spring flowers and balmy weather.